Some Americans who froze their credit reports following the big data breach this year at the credit-rating firm Equifax may be in for a surprise if they try to purchase insurance on the Affordable Care Act's marketplaces. That freeze could trigger a delay in the application process. Signing up for a marketplace plan online requires consumers -- especially first-time enrollees -- to prove their identity by answering questions linked to their credit history. It can affect both those who are seeking a subsidy and those who are not. But here's the rub: Consumers who have blocked access to their credit reports often "cannot get past the ID proofing part," said Matthew Byrne, founder of the Spiralight Group, a brokerage in Dublin, Ohio. 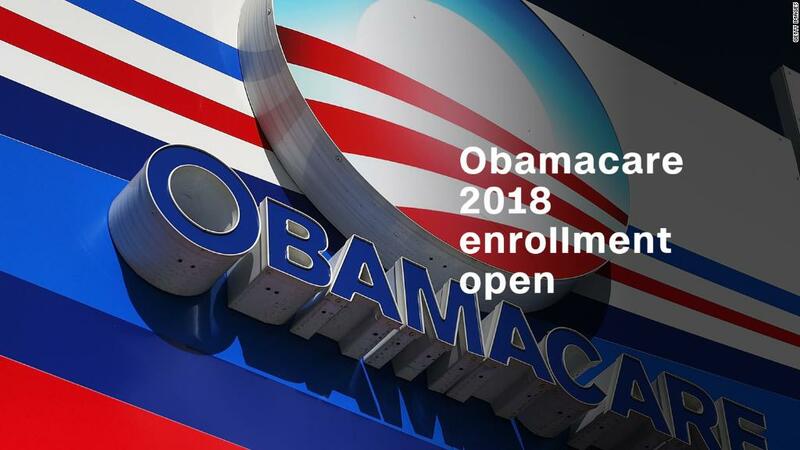 That presents problems as the clock is ticking on open enrollment season for the Affordable Care Act's health coverage, which ends Friday in most states. "Your identity wasn't verified," warns the healthcare.gov page. It suggests that the applicant call "the help desk," which is run by another credit reporting firm -- Experian -- that works with the marketplace, or call the healthcare.gov call center, according to a screenshot sent to Kaiser Health News by a broker. That call to Experian sometimes solves the problem, if the applicant can successfully answer questions generated by the firm. Those can include queries about previous addresses, vehicles owned or current mortgage lenders, according to a 2016 report from the Center on Budget and Policy Priorities. But not always. Geoff Dellapenna said shortly after he and his broker entered some of his information onto the online application, the screen showed the warning that his identity could not be verified. They would need to make another call first. "I just put a stop to it," said Dellapenna, 46, of Canton, Georiga. "I was so frustrated with how cumbersome the whole process was being that I just could not do it." He's now working with the broker to see if he can get small group insurance for his company -- avoiding the healthcare.gov site altogether. There are workarounds for consumers: Applicants may have to upload or mail in documents. Some brokers advise their clients to "unfreeze" their credit reports before enrolling in the ACA by calling the three major credit rating agencies -- Equifax, Experian and TransUnion. The freeze can be restored once enrolled. But those options may take time. With the Dec. 15 deadline fast approaching, brokers say some people will be upset if they wait until the last minute. "None of this is simple," said Kelly Fristoe, a broker in Wichita Falls, Texas. Fristoe said the subject of credit freezes and the ID verification has come up frequently on broker forums this year. Otherwise, he added, the enrollment process has been smooth. A spokeswoman for the Department of Health and Human Services said consumers using healthcare.gov, which serves 39 states, don't need to unfreeze their credit in order to apply, "nor do we recommend that step for identity proofing." Uploading or mailing the information will generally work, she said. Related: Credit freeze: What is it and should you do it? Most of the states that run their own marketplaces for ACA enrollment also use the Experian system for identity proofing, although at least two -- New York and California -- have modified the process to help avoid some of the delays, according to the policy report. New York, for example, uses state motor vehicle records and other data in addition to Experian -- and has a special call center that certified assisters can use to help applicants who can't pass the online verification. California also uses assisters, who are registered with the state, to check documents and upload them for applicants, the report says. Many people heeded warnings in the early fall to monitor their credit or place a "credit freeze" on their accounts with the three major reporting firms after Equifax revealed that hackers had stolen information on 143 million Americans, including Social Security numbers. A freeze restricts access to a consumer's credit report, which can make it more difficult for identity thieves to open new accounts using stolen information. Consumers must call or go online with each of the three credit-reporting agencies to create a freeze -- and keep the PIN numbers needed to reopen the accounts. Still, a credit freeze isn't the only reason why applicants might face an ID delay, said Spiralight's Byrne. Sometimes applicants enter a number incorrectly -- say, one digit in a Social Security number. They may have a fraud alert on their credit accounts because of a previous identity theft. Or the person is young and has little or no credit history. But in all cases, they may get a notice saying more information is required and the application process comes to a standstill. As long as the process was started before the end of open enrollment, consumers should be able to finish their applications. Once they get cleared after providing documents, applicants are eligible for a special enrollment period, said Shelby Gonzales, senior policy analyst at the Center on Budget and Policy Priorities. In that case, her advice is to telephone the "healthcare.gov call center and let them know you've been cleared for identity proofing and they should be able to help you activate the special enrollment," she said.